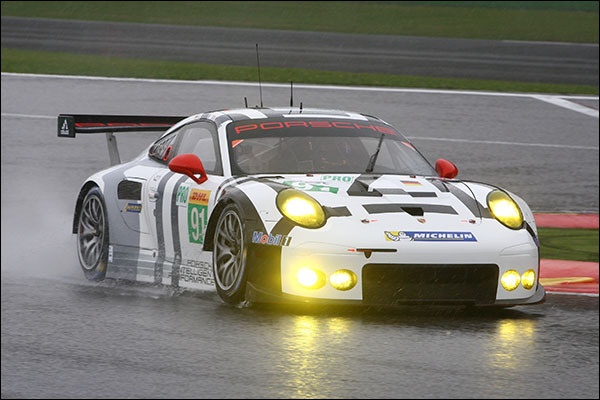 Free practise session No1 of the WEC Spa 6 Hours was held under heavy rain. It was interrupted by a red flag episode of 27 minutes after the #1 Toyota of Kazuki Nakajima rear ended the #8 Audi of Oliver Jarvis at Les Combes corner after both stumbled over a slower LMP2 car invisible in the spray. 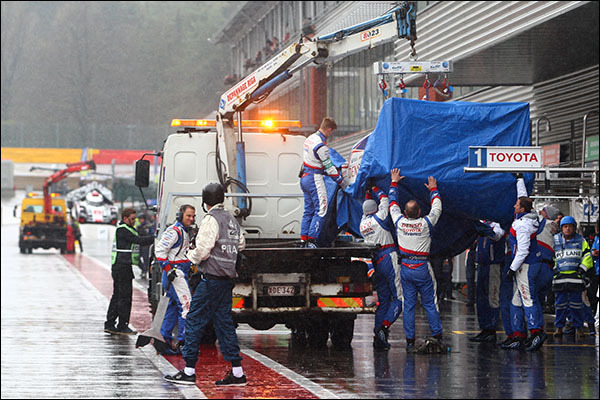 Both drivers were uninjured, Kazuki Nakajima reported at the medical center for routine checks. The #8 Audi in its low drag configuration suffered significant damage. The session was extended by race control to ensure all teams got the the benefit of a full 90 minute test. 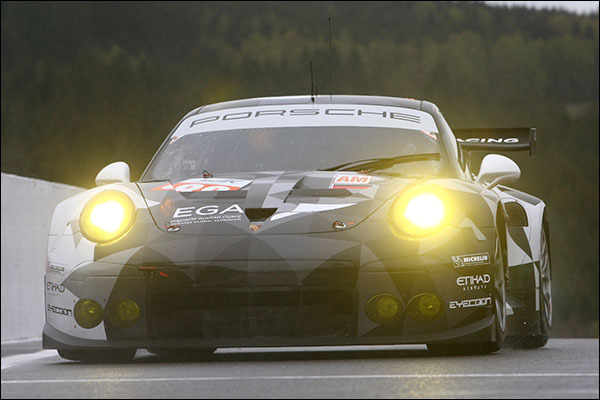 Best laps in three out of four categories were set by Porsches. 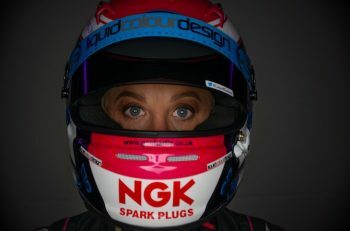 All were posted during the first hour of the session and before the red flag episode. Driving conditions were reported by several drivers as being extremely difficult and dangerous, worsening again as the session was coming to a final conclusion. 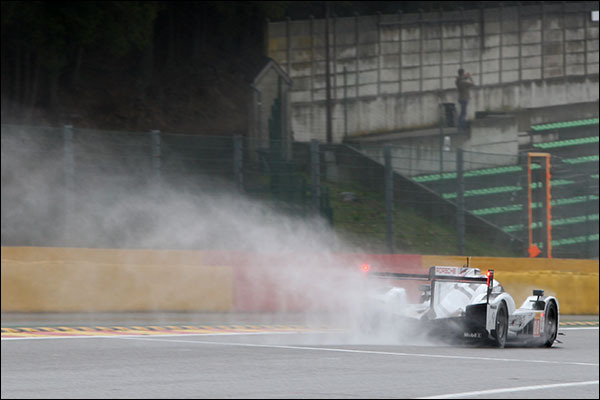 In LMP1, Porsche prototypes impressed fans present on the side of the track by demonstrating remarkable stability and traction on a damp track, noticeably at the exit of tight corners like La Source. 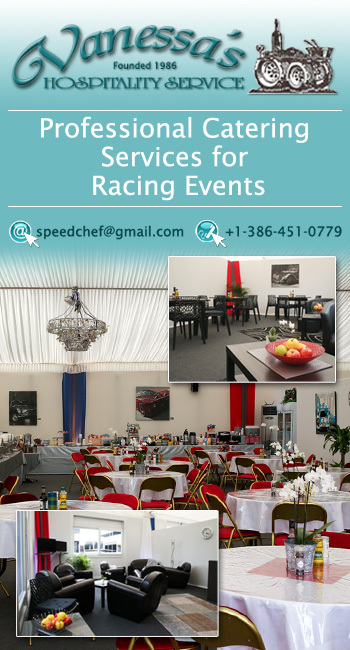 It was therefore no surprise to see the #18 Porsche of Mark Lieb post the fastest lap with 2’16’’616 while the sister cars #17 and #19 finished respectively third and fourth in the session. Second position saw the #1 Toyota of Nakajima/Buemi/Davidson. This car led the category during a brief absence of heavy showers. The second Toyota of Wurz/Sarrazin/Conway finished seventh behind the #9 and #8 Audi, respectively in fifth and sixth position. 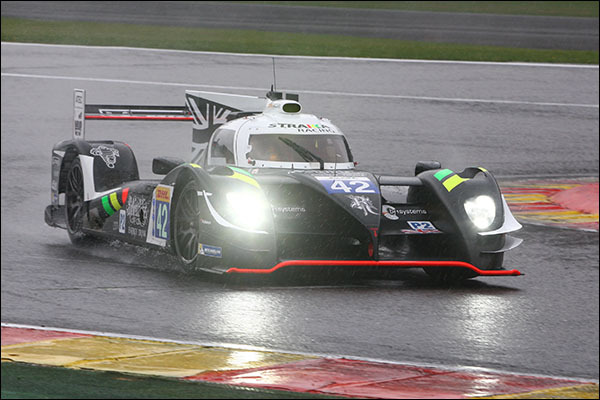 In LMP2, the session saw a battle between Strakka Racing and Jota Sport. Harry Tincknell in the Gibson Nissan led the first half of the session until Jonny Kane scored the fastest lap with a 2’32’672 on #42 Dome Nissan of Strakka Racing. 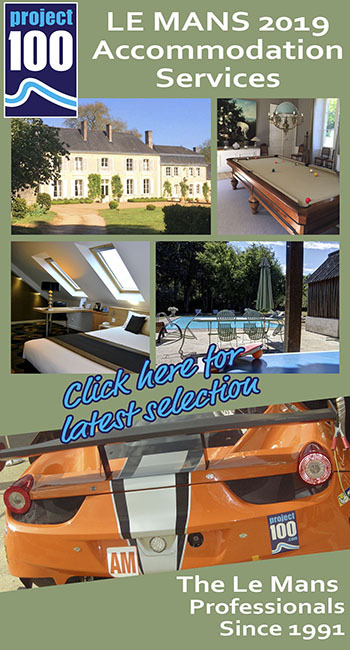 Both cars were followed by the two G-Drive Ligier Nissan cars. In LMGT, Porsche dominated the Pro and the Am category. In LM GTE Pro, it was a one-two for Team Manthey with Kevin Estre setting a fastest lap of 2’36’’065 in #91 Porsche 911 RSR, leading sister car #92 of Makowoecki/Lietz. The #51 Ferrari of Bruni/Vilander finished third after being fastest during the early and dryer part of the session. 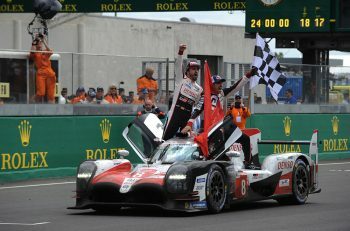 In LM GTEAm, three different makes occupied the top three positions with the fastest lap realised by #88 Porsche 911 RSR of Proton Racing with Klaus Bachler at its wheel. 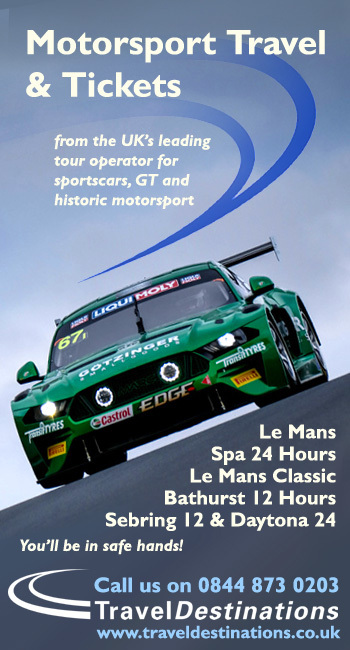 It is followed by #98 Aston Martin of Castelacci/Goethe/Hall and by the #55 Ferrari 458 of Cameron / Griffin / Mortimer. The next 90 minute Free Practise session is scheduled today at 4.30 PM.